While most of America was blissfully couch-ridden in the warm afterglow of its post-Thanksgiving tryptophan coma, a quartet of the world's largest and most influential car manufacturers quietly revealed a plan: to build a vast system of powerful electric vehicle chargers across Europe starting early in 2017, with the aim of having thousands across Europe by 2020. It sounds like a boring report on corporate expenditures, but it's actually a really friggin' big deal. BMW, Daimler (which owns Mercedes-Benz and Smart, among others), Volkswagen (Audi, Porsche, Lamborghini, and Bentley), and Ford (Lincoln) are teaming up to invest in what will essentially be the gas stations of the future. Absent from the party? Tesla. Not only are these chargers twice as powerful as Tesla's Superchargers, but they're very, very different -- meaning no Tesla currently made can connect to this network and take advantage of its super-fast charging capabilities. 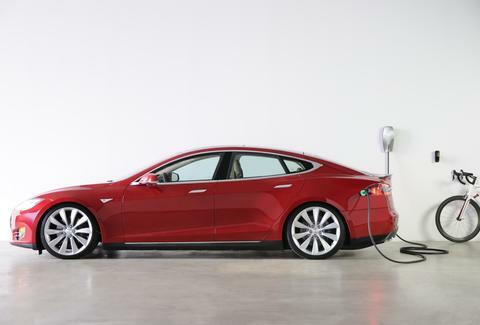 Tesla has no plans to convert its chargers as of now -- tough luck for Tesla owners, and potentially a massive problem for the stubbornly independent automaker. There are already chargers all over the place. Why is this a big deal? The Combined Charging System, or CCS for short, represents an attempt to establish a standard universal plug for all electric vehicles -- kind of like standardizing electrical outlets in your home. Most current CCS stations in America are 50 kW, and Tesla's non-CCS compliant Superchargers are 145 kW. 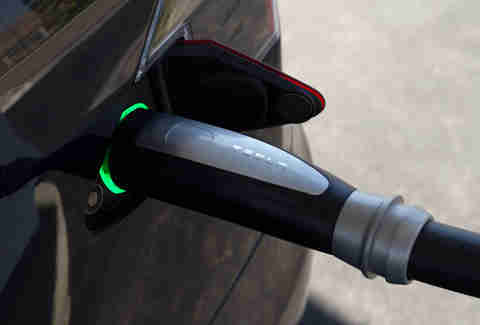 A third option used by Japanese manufacturers, called CHAdeMO, is limited to 100 kW. 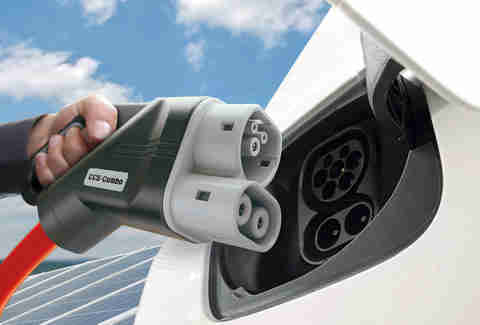 But the new charging system being built by BMW, et al., is capable of 350 kW -- which means very, very fast charging times. The companies already onboard with CCS include, in addition to the four mentioned above, Hyundai, General Motors (Chevrolet, Buick, Cadillac, GMC…), and FCA (Fiat Chrysler, which includes Dodge, Ram, Jeep, and Alfa Romeo). With the ubiquity of electric cars already on the horizon, to have such a sizable chunk of the future market share already committed to CCS means it's likely to achieve critical mass, forcing all other companies (cough Tesla) to either take the path of least resistance (compliance) or stake tremendous risk on their own systems. 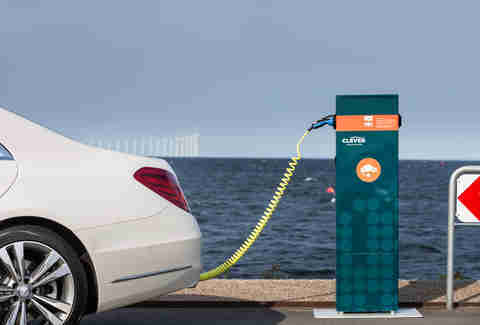 The plan is to install around 400 of these high-capacity chargers across Europe in the next year, and to have several thousand up and running by 2020. To put that number into perspective, Tesla has fewer than 300 Superchargers in Europe right now. As the number of EVs on the road grows, it's simply a matter of time before CCS achieves its goal of becoming the universal standard, and companies begin building CCS stations en masse in the United States. What does this mean for Tesla? This isn't exactly a vile conspiracy against Tesla, it's merely the reality of economies of scale: the more CCS chargers that are produced, the cheaper each station becomes to build. Not only does Tesla simply lack the means to match such numbers, there's little substantive benefit from doing so. Interestingly enough, Tesla is actually signed on to CCS, though none of its offerings are compatible yet. As time goes on, and Tesla owners grow understandably frustrated with their fellow commuters' faster and more convenient charging capabilities, Tesla will have little choice but to convert its charging systems to CCS standards, and will quite likely be pressured into making an adapter for the Teslas already on the road. At the present time, it certainly appears as if Tesla's hand has been forced in the struggle for charging station dominance. Once again, considering these are basically the gas stations of the future, that's no small loss. Aaron Miller is the Cars editor for Thrillist, and can be found on Twitter and Facebook. He certainly doesn't want to worry about which plug goes in which car in a few years.